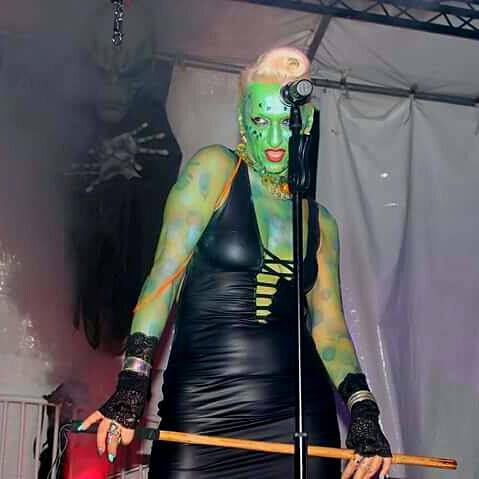 SCARYMARY is from the 13th DIMENSION and travels intergalactically to entertain on her ancient spaceship stage, with her band of 13th dimensional creatures, her EVOLPETS. 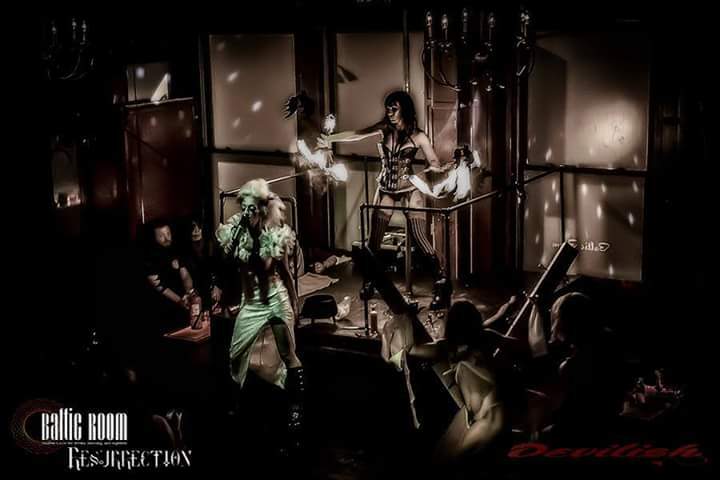 Performing FETISH shows, and GOTHIC Vampire shows, with fire, lights, and cosmic delights! She is OUR future Madame President of the Intergalactic UNIVERSE ! then you may... LICK MY BOOTS !